This is a truly fabulous A4 size, colour picture of Ryan Giggs the Manchester United footballer. 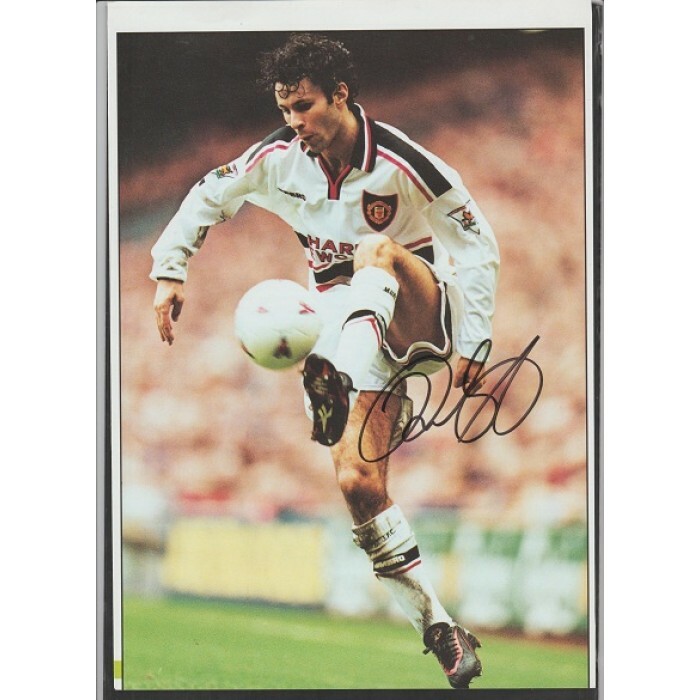 The Manchester United legend Ryan Giggs is seen in the picture in full length action and has hand signed this picture in fine black marker pen. This picture is taken from a recent football book. Ryan Giggs is the most decorated player in English football history. He also holds the club record for competitive appearances. During his time at United, he has won 12 Premier League Titles winner's medals, four FA Cup winner's medals, three League Cup winner's medals and two Champions League winner's medals. He has two runner-up medals from the Champions League, three FA Cup finals and two League Cup finals, as well as being part of the team five times when it finished second in the Premier League. This would look great framed! !